33 year old Niki Chow is still single, even her elder sister Kathy Chow is now married. In terms of love life, she falls behind her sister. Niki had never been in a hurry to get married, she understood long ago, men are not as good as having money close by, no wonder she charged up to Mainland for gold digging. Unfortunately, its not easy being a 'sing lui',but she is no longer willing to get labeled. With pursuers surrounding her, it is about time Niki plans for her future. Niki had always kept a low-profile love life, this time she publicly thanked her ex-boyfriends for their love and care, but sighed fate hasn't arrived. "I have no time to think about marriage. Everyone seems to be more concern than me. Haha! I'm rather a stubborn person. In the past, I must choose the best guy before I date him. Nobody could force me. I wanted to be certain first, I didn't want to choose someone I didn't like to date. Indeed, I do have pursuers. I have a good character, not that ugly, its normal. When it comes to my relationships, I want a low-profile. All along, I never take out my relationships to discuss! In any ordinary day for an artist, people are always talking about us from head to toe. If even our relationships, something that personal, gets publicize, not only will it be difficult for me, but also unfair to my other half. After several relationships, you all know I won't publicize the whole course of events like its a reality show because I'm not in a show. My other halves had supported my view too. It is just unfortunate our fate didn't arrive yet and ultimately we couldn't be together. I really want to thank the gentlemen whom had loved and cared about me before." Last year, Niki's elder sister Kathy Chow married a French husband (Julien). Since then, Niki got herself a new foreign brother-in-law and lost to her sister in the romantic race. At a glance, Niki seems to have a satisfying life, but she is in fact over 30 after all, if she said she didn't want to be married, she would be lying to you. "I wouldn't choose to hide my marriage. I want to share the happiness with the people who love me. If I do get married one day, I will definitely let you all know. Witnessing my sister's marriage, I feel ten million of happiness for her. My brother-in-law loves her to death. He cooks my sister breakfast every morning, that is every single morning. How many men can do that? I envy her extremely; I envy that she found someone who truly loves her. Some people say, when you meet the right person at the right time, it is a lifetime of happiness. Honestly, I hope to be one of those people in happiness. When choosing a boyfriend now, I won't have such high expectations. Just as long as we click and I like him, then its OK. In short, just as long as he's a man!" Many people say Niki is TVB's lucky star. The TV ratings to her series is never that bad. Getting shade from a large tree, Niki was still unwilling to pick up that pen to sign an artist management contract with TVB and be one of their 'biological daughters'. "I don't think I'm TVB's lucky star. Its just a coincidence that I had two series broadcast in the past two months. I usually just have one series per year. Thanks to audience for supporting me! Many people ask me, why won't I sign a TVB management contract? Actually what's the difference? My relationship with TVB had always been positive. I am not an artist with lots of productions, it had always been quality, not quantity. I still want to release music albums and shoot movies. Miss Lok (Virgina Lok) understands what I'm thinking, we have consensus on our method of collaboration. So, what's the difference from being an actual 'biological daughter'? All in all, in HK aside from TVB, I will not appear on other TV stations." In the recent year, Niki had just started moving up north (working in Mainland). She claims she started too late, but hopes more people will know who she is! "In the past years, there has been many artists filming in China. Honestly, its a huge trend, the China population is over a billion and the big country has plenty of resources. If each individual gives me a dollar, I will be rich! I have my eyes on the entire Chinese market, developing up north, will allow more people to know Niki Chow. No doubt, you make good money in China. I can only say, the salary is 10 times more than what you earn in HK. That is no lie, you really get it! Actually 6-7 years ago, I had a chance to develop my career in China, but at the time I was afraid of going up there alone and didn't know anybody, so I delayed on taking action until now. I know I started late. The work in China has allowed me to make a lot of improvements. I have more people skills. I know recently many people are scolding TVB because of last minute scripts. I actually have never minded, perhaps because I started out as a movie actress. You only get the synopsis, a lot of it was added into the script on the spot. I believe its actually the best to add things in on the spot. 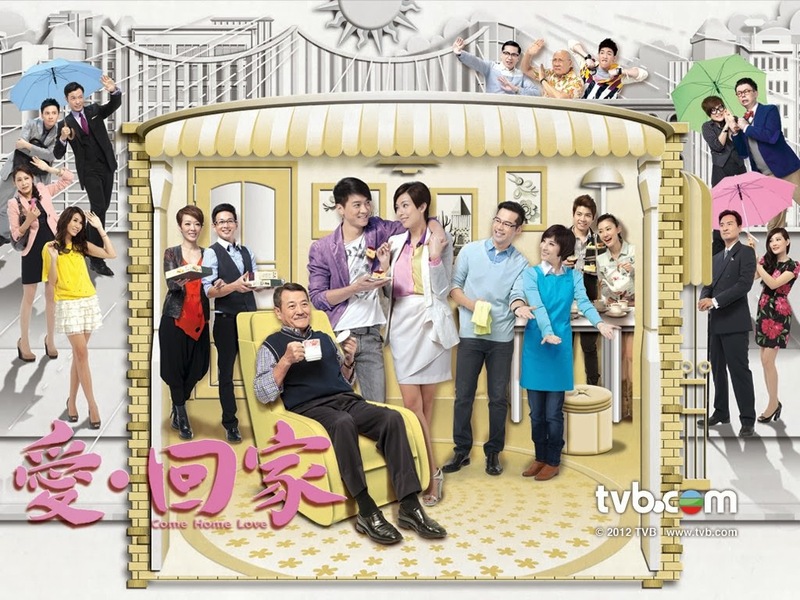 When shooting TVB series, I have had it both ways before, sometimes its the complete script and other times its not. Sometimes last minute scripts is more flexible and accommodating. I have never had a bad experience with it." In the career race, Niki is developing in all three industries (TV, movie, music), that's not hard to see. Although she's been behind in music all along, she will not give up and continue to persevere until she reaches her goal. That's why she's a stubborn person. Niki has already decided to launch her first Mandarin album next year because she carries an attitude of "if you don't try, you won't know you have good health". It's a little rough to, but at least the opportunity for victory is still there!